It’s been a while since my trip to Thailand but I’m reminded of the smells (spicy) and tastes (extra spicy) of its cuisine regularly. Just last weekend, I visited my friends Lindsay and Karen (whom I traveled to Thailand with) in San Fran and we reminisced about our favorite dishes (papaya salad) over a plate of (well, obviously) papaya salad at a local Thai/Asian fusion restaurant. 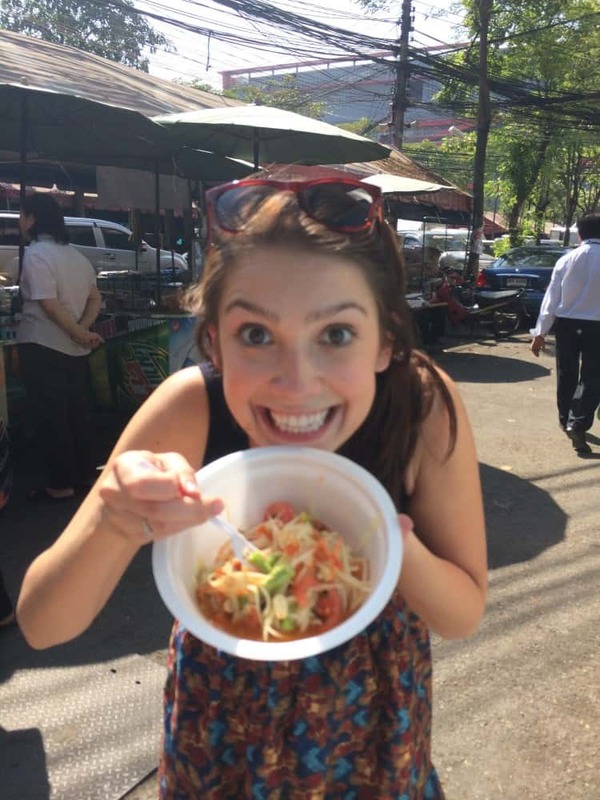 Oh, and in case you want to hear the word papaya salad one more time, the picture above is me digging into a (you guessed it) papaya salad made by your average street cart. Shredded green papaya, long beans, tomato, peanuts, fish sauce, and thai chili peppers make for a sweet, sour, and spicy dish. 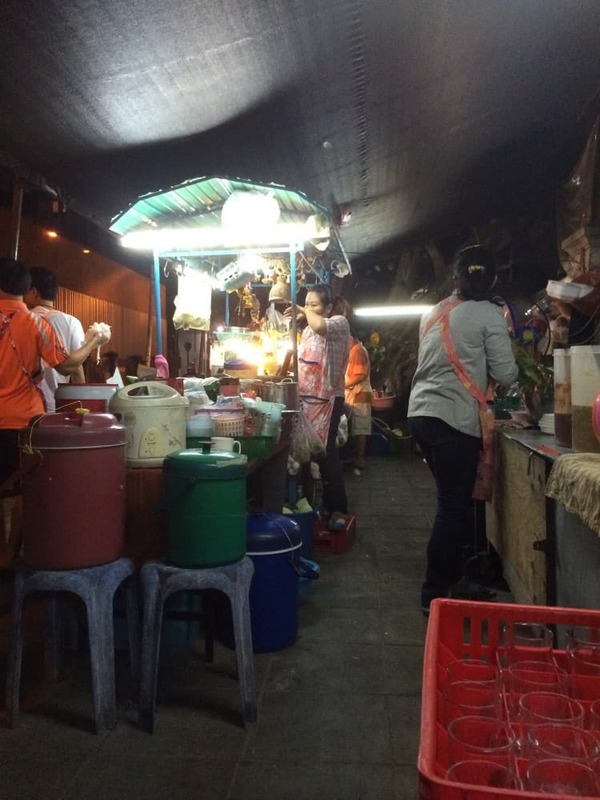 Some of the best food I had in Thailand was considered “street food”. Like the dinner we had at this place. Yep, that’s their kitchen. I was in coconut glory all around Thailand between the coconut milk, water, cream, curry, meat. You name the part. I ate it. Wanna take a wild guess what this machine (pictured above) is up to? 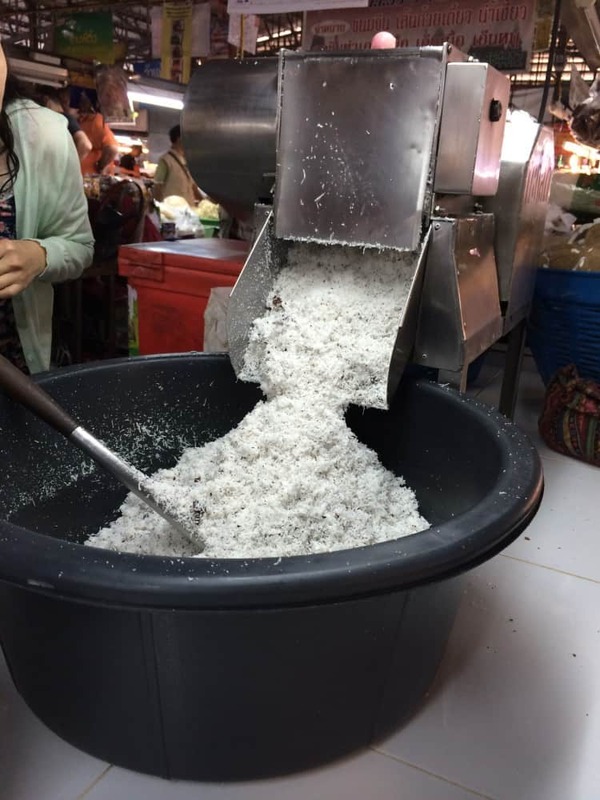 Shredding coconut meat to make coconut milk! I’ve never seen so much coconut in one place at one time. I also put an end to my aversion for coconut water (having only tried Vita Coco prior) when I drank the water straight out of a coconut in Thailand. Made a world of a difference in terms of taste. Since returning home, I’ve found that Harmless Harvest (although pricey) tastes the most like the water straight outta da nut. 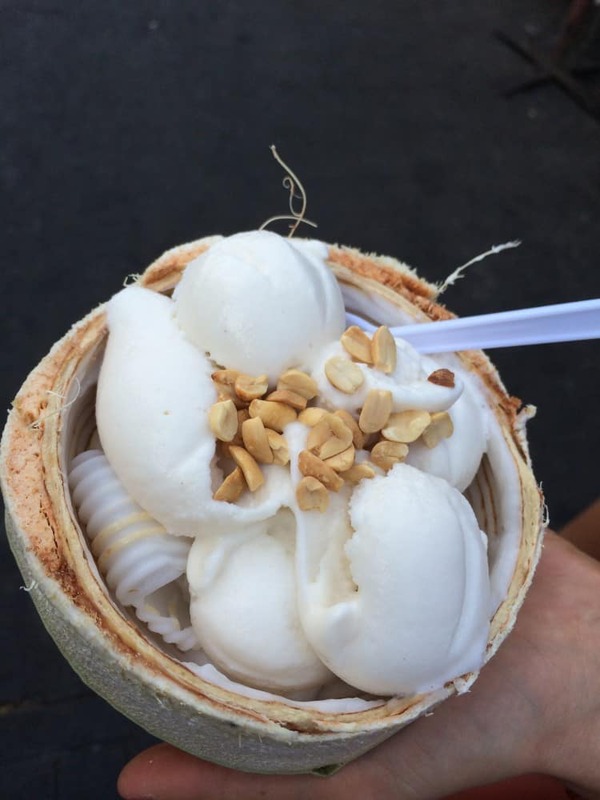 Coconut, a mainstream staple in Thailand for years now, has been making its way into products on store shelves here in the US over the last couple of years. Touted a trendy health food, coconut is best known for the kind of fat it contains (medium chain triglycerides or MCT) which are metabolized differently from other types of fats. This type has been shown to actually help raise your good cholesterol (HDL) levels. I’ve been cooking more at home with coconut oil and using coconut milk and water in my smoothies. And if I could recreate this coconut ice cream with coconut meat out of the shell every day, I would. 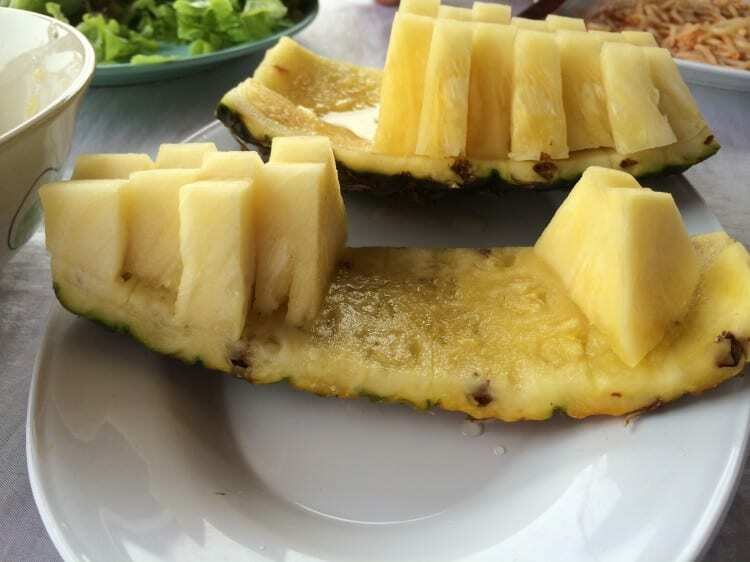 My diet in Thailand pretty much consisted of only fresh vegetables and fruit, tofu, and rice. Like this fresh pineapple (literally the sweetest, most delicious pineapple I’ve had in my life). Given the abundance of fresh food, I didn’t miss much except for one of my American staples…peanut butter. 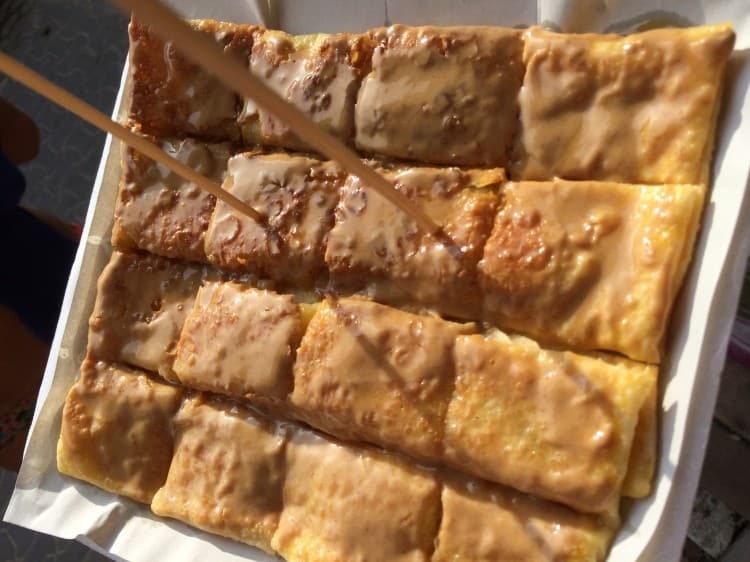 So, when I came across this peanut butter and banana rotee (or thai pancake), I couldn’t resist. Deliciously indulgent, this satisfied my American craving for the rest of my stay. For my next (and final) post of the Thailand/Cambodia series, I’ll share with you a few Thai recipes and my experience attending a Thai cooking class! Tell me, have you tried Thai food? What’s your favorite? And in case you missed my other Thailand/Cambodia posts, check them out below! I am COMPLETELY drooling over every single thing you talked about in this post. Thailand is totally on the bucket list someday – I hope I didn’t miss my window as my husband’s uncle and one of my best friends use to live in Bangkok. Planning on a trip to Bali in 2015 so can’t wait to for the food adventure there. You MUST get there. Bali, though??!! Totally jealous. My biggest regret of not extending my stay in SE Asia was missing Bali! It’s at the top of my travel bucket list. My dream is to lead a yoga/nutrition retreat there – hopefully that will be my ticket ;). Can’t wait to live vicariously through your Bali adventures! So jealous of your trip! Thailand is on my bucket list. My dad used to go there for business all the time. He said his clients all thought he was nuts when they went to take him out for dinner and he just wanted to get street food! Haha! I don’t blame your Dad at all! Street food is the BEST. And so, so, ridiculously cheap! Let me know when you get to cross Thailand off your bucket list! i’m still so jealous of this trip! papaya salad sounds amazing right now. And that coconut machine is crazy! Yes! I had a papaya salad at an asian fusion restaurant in Boston recently…just wasn’t the same! That coconut machine is insane, right?! Wish I had one of those bad boys. Aw, thanks. Right back atcha!